Frekhtman & Associates is one of the top motorcycle accident attorney and personal injury firms in Queens. We have won numerous multi-million dollar lawsuits for our clients throughout New York City. If you, or a loved one has been injured in a motorcycle accident, we encourage you to give us a call for a free case evaluation. Furthermore, if we decide to take your case, you pay us nothing unless we win a settlement for you. A motorcycle rider or passenger is exposed to direct contact between his person and the outside elements such as the ground, another car, or a wall. Motorcycles lack the stability of a four wheel motor vehicle and therefore will invariably roll over onto one side during a serious accident. Motorcycles are much lighter than other motor vehicles which means they will suffer a more severe damage even with a softer impact. Because they are small and narrow, motorcycles may not be noticed by other drivers on the roads resulting to situations where cars crash into motorcycles because they either fail to yield, change lanes into a motorcycle occupied lane, or open a car door into the path of an oncoming motorcycle. Accident studies have found that in a majority of motorcycle accidents, the motorcyclist was not at fault in the vehicle-collision that caused the injuries. 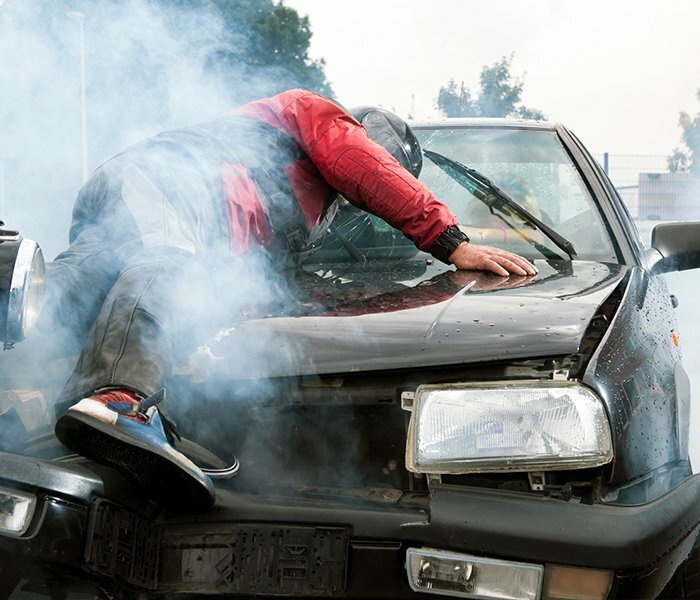 The personal injury attorneys at Frekhtman & Associates provide you with accident reconstruction analysis to understand how your accident happened in order to prove your case in court. 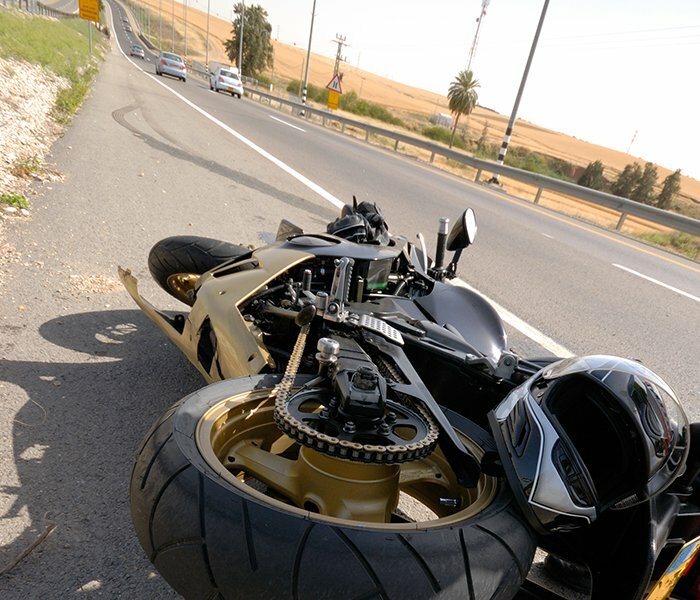 Since most motorcycle accidents are very complex and difficult to handle, it is important that you act quickly to find a lawyer to address any questions and/or issues that probably will arise so that you may get all the help that you are deserved. Helmets are required for motorcycle riders (VTL 381) This section also explains other motorcycle equipment that must be used such as proper brakes, rear reflectors, and front and rear motorcycle lamps must be lit during twilight hours. The entire section can be found at https://codes.findlaw.com/ny/vehicle-and-traffic-law/vat-sect-381.html. Motorcycle riders are not entitled to first party personal injury protection (PIP) benefits including No Fault benefits. Unlike motor vehicle operators, motorcyclists will not have the auto insurance pay for their medical care. They must use their health insurance coverage or self pay. Because of this, motorcycle accident victims can sue the liable vehicle to recover medical expenses, lost wages, and other first party benefits. Another important distinction from motor vehicle accidents is that motorcycle accident victims do not have to prove they suffered a “serious injury” under Insurance Law section 5102(d) as is required of car accident victims. Because of this, there exists no minimal injury and motorcycle riders and passengers can bring a claim for even minor injuries. It is important to have a motorcycle accident trial lawyer evaluate, investigate, and prosecute your matter. The Frekhtman & Associates Law Firm has extensive experience litigating all types of motorcycle crashes. We hire accident reconstruction experts to visit the accident location, take photographs, measurements, and diagrams and help prove liability at trial using engineering expertise. We also coordinate our client’s medical care with top New York specialists including orthopedic surgeons, plastic surgeons, physical therapists, neurologists, and others. This medical-legal approach to every case allows us to present the strongest possible case at trial. In Queens, a motorcycle accident trial will involve proving two elements: liability or fault on the part of the defendant we are suing & damages which consists of proving your diagnosis of injury. This will allow our firm to recover maximum compensation for past & future pain and suffering on behalf of our clients. Other elements of damages will also include: economic losses including lost wages, value of household services, and recovery of past and future medical expenses. If you or a loved one was injured in a motorcycle accident in Queens or anywhere in New York City, contact the motorcycle accident lawyers at Frekhtman & Associates for a free confidential consultation. We specialize in recovering maximum compensation for motorcycle accident victims including many multi million dollar verdicts. Call us at (212) 222-1111 or fill out an online contact form to email us.